It’s summer time in London. One way to know it is that time of the year is when you see the Arab aristocracy descending into central London and splashing a little money. Okay, a lot of money. 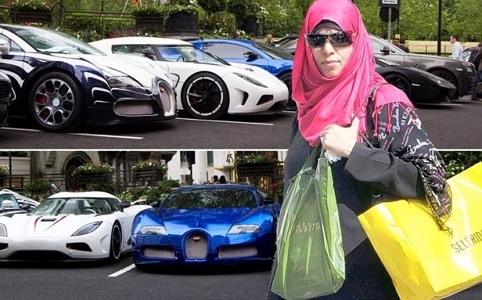 This year the Ramadan gold rush has brought Bugatti Verons, Lamborghinis and many other super cars to Oxford street. And delight thyself in Jehovah This delight is set in opposition to the vain and deceitful allurements of the world, which so intoxicate the ungodly, that despising the blessing of God, they dream of no other happiness than what presents itself for the time before their eyes. This contrast between the vain and fickle joys with which the world is deluded, and the true repose enjoyed by the godly, ought to be carefully observed; for whether all things smile upon us, or whether the Lord exercise us with adversities, we ought always to hold fast this principle, that as the Lord is the portion of our inheritance, our lot has fallen in pleasant places, as we have seen in Psalm 16:5, 6. We must therefore constantly recall to our minds this truth, that it can never be well with us except in so far as God is gracious to us, so that the joy we derive from his paternal favor towards us may surpass all the pleasures of the world. 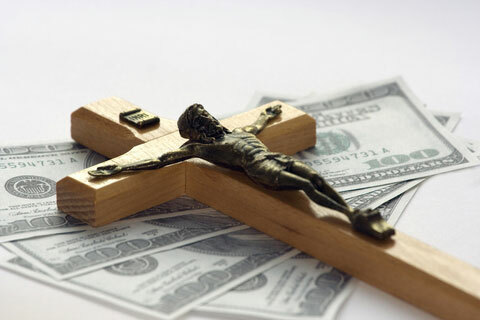 Why health, wealth and prosperity preachers never fall sick or even die (Ahem). Here’s a rhyme, how much wood could a wood chuck chop, if a wood chuck could chop wood? Here’s another. How much deception can be seen and heard, when there is no word, and nobody is really listening? How long will we look the other way while people are ravaged by false teaching’s promoted by men who spread their own miracle rumors? It was E.W. Kenyon in his book the Hidden man on pg.99 wrote, “I know that I am healed because he said that I am healed and it makes no difference what the symptoms may be in my body.” An example would be if they are coughing and you say you have a cough they respond by “no I don’t, I haven’t had a cough in years.” That’s called denial of reality at best, and lying at worst. …REad More! Every body wants a piece of The Big Apple. It is said that New York City is the most linguistically and religiously diverse city in the world. The 8.4 million inhabitants communicate in some 800 different languages across the five boroughs – the Bronx, Brooklyn, Manhattan, Queens, and Staten Island. New York is also a religious city: 83% of New Yorkers are said to be affiliated to some organized religion. Woof, Dogs Now Do Holy Communion! The last time animals had more common sense than humans was when they flocked into the ark just before the flood. Okay and there was also Balaam’s talking donkey. Since then people have wisened up -or so we thought. An Anglican seeker and canine sensitive vicar recently went the extra mile for a church new comer. An old cliche says there is a silver lining in every cloud. In a sense this is true for the follower of God. In Romans 8:18-39, Paul tells us that God can turn the wicked events that happen to Christians into an advantage for the righteous. Joseph’s life is an excellent example (Genesis 39-41). After being sold by his own brothers, Joseph spent 13 years as a slave and in prison. I can’t think of many good things to say about Joseph’s situation, yet Joseph rose from his miserable state to become the second highest man in Egypt. However, we often overlook an important point. Pharaoh appointed Joseph to manage Egypt’s produce during the seven years of plenty and the seven years of famine. How did Joseph, the son of a nomadic herder, learn to manage the wealth of a nation? Much of it came from the wisdom that God granted him, but notice that in both Potiphar’s house and in jail, Joseph was placed in a position of management. In both places, Joseph was second only to Potiphar and the jailer. He ran their affairs so well, that neither man had to concern himself with his daily affairs. In other words, God used Joseph’s bad situation to train Joseph for a larger future task.